Single patient use only. 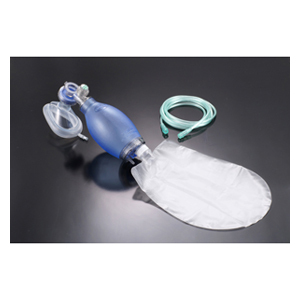 The set includes PVC reservoir bag, PVC mask # 5 and disposable oxygen tubing. 100% Medical level PVC material. Latex-free components. 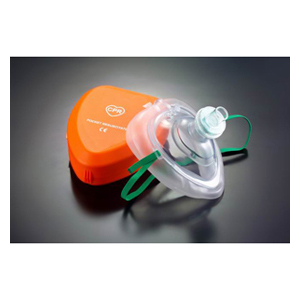 All-in-one intake valve connects to oxygen reservoir bag directly. Additional accessories and customized label are available. Diverter is able to attach PEEP valve. Single patient use only. Built-in 40cm H2O pressure relief valve. 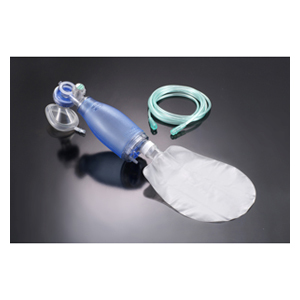 The set includes PVC reservoir bag, PVC mask # 1 and disposable oxygen tubing. 100% Medical level PVC material. Latex-free components. 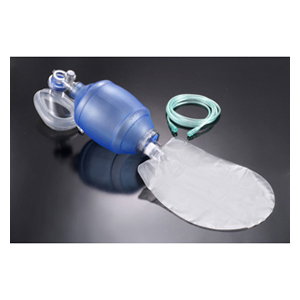 All-in-one intake valve connects to oxygen reservoir bag directly. Additional accessories and customized label are available. Diverter is able to attach PEEP valve. Includes mask, storage case and filter. The PN-1141 is ideal for Resuscitation and Paramedics Packs or for first aid Kits.